Forensic Audit is a term which is not defined anywhere. However, since the object is to relate the findings of audit by gathering legally tenable evidence and in doing so the corporate veil may be lifted (in case of corporate entities) to identify the fraud and the persons responsible for it (a criminal offence). Typically forensic accounting is used as the synonym to the forensic audit. However there is a small difference in these two concepts. In forensic accounting engagements, the accountant knows that fraud exist whereas in the forensic audit, the auditor is engaged to find out if the fraud exist or not ? Objective of Financial auditing is to express opinion as to ‘true & fair’ presentation. Forensic Audit determines correctness of the accounts or whether any fraud has actually taken place. Techniques used in the financial auditing are more of ‘Substantive’ and ‘compliance’ procedures. The techniques used in the forensic auditing are analysis of past trend and substantive or ‘in depth’ checking of selected transactions. Normally all transactions for the particular accounting period are covered under the financial audits. Forensic audits don’t face any such limitations. Forensic auditors may be appointed to examine the accounts from the beginning. For ascertaining the accuracy of the current assets and the liabilities financial auditor relies on the management certificate or representation of management.Forensic auditors are required to carry out the independent verification of suspected or selected items . Whenever the financial auditor has adverse findings, then the auditor express the qualified opinion, with/without quantification.In case of the adverse findings, the forensic auditors are required to quantify the damages to the clients and is also suppose to point the culprit. Many a times, Legal action will be sought. Knowledge of entity’s business and legal environment. Awareness of computer assisted audit procedures. Innovative approach and skeptic of routine audit practices. 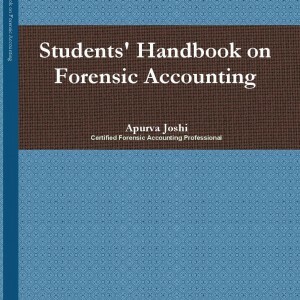 Students handbook on forensic accounting speaks about the forensic audit and forensic accounting concepts in detail. This book is available in the Fraudtoday Bookstores.